the last few weeks, and months to be honest, have been a little nuts. we have been shooting and shooting, being exposed to all sorts of great food related items. but with these busy streaks, we really get on a roll with trying to seek out all the good eats we can find. last night we went to dinner at public. chef brad farmerie is truly amazing with his food. i had the pleasure of photographing him last week with martha stewart for a grilling special, and all he cooked was so tasty we decided to go eat his everyday food. we actually sat in their newer monday room, attached to public. it has the same menu as public, just with a few additions. we really enjoyed all he had to offer, all the way down to the great service. you need to check it out when in manhattan. we also recently had dinner at char no 4 in brooklyn with some new friends on their weekly summer bbq night. every wednesday in the summer, for $22 you get 3 kinds of meat, 2 sides, a beer and a shot of whiskey! it was really good fun and great food. I believe that each month it changes food, and we had great slow roasted lamb shoulder, and an amazing cheddar sausage among other things. while we were waiting for a table, we were introduced to one of char no 4's signature cocktails, the nor'easter. it is adapted from a dark and stormy, but with bourbon instead of rum...it was truly delicious. you can also find the recipe in this great book of brooklyn's best food and drink. 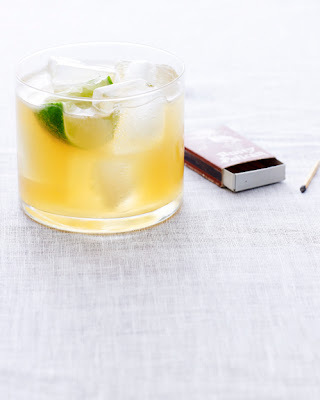 in a cocktail shaker, combine the bourbon, lime juice, and maple syrup with some ice cubes. shake well. strain into a glass filled with new ice. top with ginger beer and garnish with a lime wedge. enjoy! holy moly - i live a few blocks away from Char. 4 and had no idea about the meat deal! You can be sure I'll be there next Wednesday with my appetite in tow! That sounds so good. So like what I exactly want right now. It is so hot out. This sounds like a dream. It has been so hot this looks perfect! I could do with one of these RIGHT NOW!